The United States conducts the "Bravo" test, the largest thermonuclear device in history up to that point. 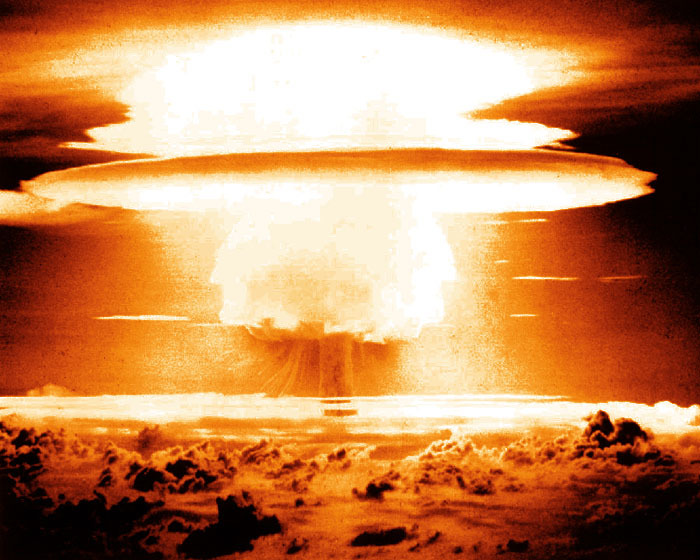 Bravo was a device using Lithium Deuteride as its fuel and the explosion yielded 15 megatons. The bomb was in a form readily adaptable for delivery by an aircraft and was thus America's first weaponized hydrogen bomb.